Migraine affects 6 p.c. of men and almost one in five women. Characterised by intense, localised pain, usually on one side of the head, migraine attacks can last from anywhere between two hours and several days. Some attacks may lead to severe symptoms such as intense, throbbing pain, nausea, vomiting and diarrhoea. About 75 p.c. of migraine sufferers experience some loss of their ability to function normally during an attack, and almost a third of sufferers become totally incapacitated by a least some of their headaches. Migraine clearly represents a significant public health problem, and it comes as no surprise that painkilling medication, both over-the-counter and prescribed, are the mainstay of treatment for this condition. Yet, while painkillers may sometimes relieve migraine, there is emerging evidence that their long term use may actually lead to a worsening of the problem in time. Fortunately, natural medicine offers a number of strategies which can often be very effective in controlling and even eradicating migraine attacks. Migraine is a complex condition which may have several underlying factors. A proportion of migraine sufferers ends up taking ever-increasing doses of painkillers in order to treat their problem. Eventually, painkillers may need to be taken on a daily basis to keep their headaches at bay, with abstinence from medication usually bringing on a severe headache or migraine. This type of headache, sometimes referred to as ‘rebound’ headache, is increasingly being recognised as a common and significant problem. Clearly, migraine headaches are not caused by a painkiller deficiency, so it does not come as too much of a surprise that taking painkillers instead of dealing with the underlying cause of the attacks can ultimately lead to an exacerbation of the condition. Addressing the likely underlying mechanisms, while gradually withdrawing from medication, is usually the key to successfully controlling migraine headaches. There is good scientific evidence from both sides of the Atlantic to suggest that a major cause of migraine is food sensitivity. Certain foods are well known to trigger migraine. Sometimes referred to as ‘the five Cs’, these are; chocolate, cheese, claret (and other red wines), coffee (and other sources of caffeine) and citrus fruits. While these foods are commonly held to be the main culprits in migraine, research published in the Lancet as far back as 1979 suggested that the most common food trigger is actually wheat. This research also found milk and egg to be other common precipitating foodstuffs. Identification and elimination of offending foods is often very effective in controlling migraine attacks. Migraine can sometimes be triggered if the level of sugar in the blood stream gets too low (hypoglycaemia). This may well be the mechanism in individuals who can wake up with a headache or be prone to an attack if they skip a meal. To ensure a stable level of blood sugar regular meals and snacks should be eaten, and the diet should be based around fresh fruits and vegetables, meat, fish, and wholegrain starches like wholemeal bread, wholewheat pasta, and brown rice. All these foods give a sustained release of sugar into the blood stream which helps keep the blood sugar level on an even keel. In practice, I find a common cause and overlooked cause of migraine and other headaches is dehydration. The tissues which surround the brain are mostly composed of water. When these tissues lose fluid, they shrink, giving rise to pain and irritation. Low levels of fluid in the body may also encourage the accumulation of toxins which natural health practitioners often believe are implicated in headaches and migraine. Many people find that just drinking 1½ – 2 litres of water a day can lead to a substantial reduction in the frequency of their headaches. Migraine can sometimes be related to nutritional deficiency. One of the most important nutrients in this respect is magnesium. During a migraine attack the blood vessels around the brain tend to constrict (shut down) and then dilate (open out). This second phase of dilation that is believed to cause the pain characteristic of migraine. Magnesium deficiency tends to increase the risk of spasm in the lining of the arteries, increasing the risk of subsequent dilation and pain. Indeed, migraine sufferers have been found to have lower levels of magnesium in their blood streams compared to non-sufferers. More than one study has shown that taking magnesium may reduce the frequency of migraine attacks. One study published in the medical journal Headache in 1990 found that 80 p.c. of women treated with magnesium (typical dose 200 mg per day) experienced an improvement in their headaches. Because magnesium deficiency is relatively common in our society, I generally recommend that migraine sufferers take 200 ” 250 mg of magnesium, once or twice a day. Another natural remedy which can often be effective in the prevention and treatment of migraine is the herb feverfew (Tanacetum parthenium). The main active constituent in feverfew is believed to be a substance called parthenolide. Parthenolide appears to inhibit the release of inflammatory substances which may play a part in the blood vessels changes typical in migraine. Feverfew has been found to reduce the frequency, severity and duration of migraine attacks, although it may take several weeks for benefits to become apparent. The daily recommended dose of parthenolide is 250 mg a day. Is vitamin E an alternative to aspirin? My 15 year old daughter is suffering very badly from migraines. Doctor took her off meds and now she is having severe withdrawal symptoms. Of course we read, go to doctors, change diet, and still haven’t helped her headaches. Meds have a side effect. She is 6 feet tall and very thin. A lovely girl we home school and who loves sports and academics. Not worldly at all. Will eat good foods, but is a teenager also in her choices. Are there any recent research studies, advise, books, etc. you can recommend please? we hate to see our beloved daughter suffer so. 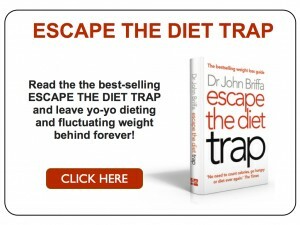 Tracey, after I first found these pages I ordered Dr Briffas book ‘The True You Diet’ from my local library. For me, chapter One contextualised just how important human evolution is in determining how our bodies react to foods. It set so much about modern food into context. By comparison, much of the food we eat today releases it’s energy too quickly in a way that evolution has not prepared us for. It places a great strain on our metabolism as regulated by ensymes and hormones. In addition the age of your daughter is a time of change that also places a great strain upon the balance of hormonal and regulatorary functions. Is your daughter over dependent on sugar rich food and drink, wheat, pasta, rice or potatoes? Try to ensure each meal is in a balance of macro-nutrients by type and quality (ie protein, fats, and low GI carbs) which references our evolutionary past. ie. Quarter plate of meat or fish for protein, quarter plate of low GI carb, and half plate of a range of veg etc. Ask yourself if there is sufficient omega 3 in the diet and just as importantly research omega 6 and ask yourself if there could be too much omega 6 in her diet. 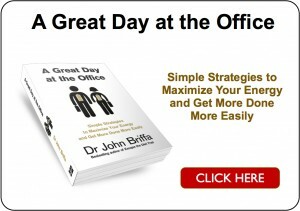 Dr Briffas book is a great place to start.